HPU is not KPU ! 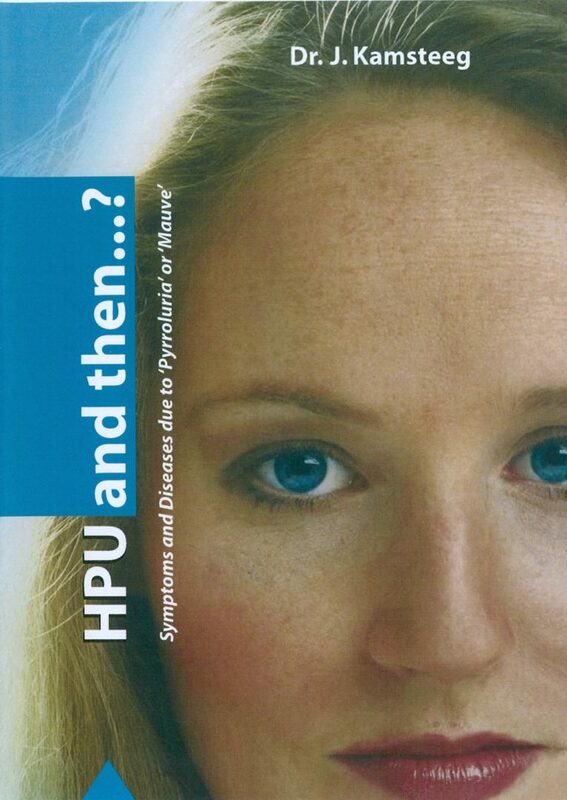 In HPU the body excretes a substance, called HPL-complex, in the urine. This excretion indicates an inborn error in the haem synthesis in which more Copro I is spontaneously synthesized. This compound is broken down and excreted, as likewise more Copro I is excreted. The excretion of the HPL-complex as well the Copro I, increases in a carbohydrate-free diet. The use of pyridoxal-5-phosphate, zinc and manganese let the excretion diminish in three to four months. Chronic fatigue, being overweight, headaches, gastro-intestinal complaints, allergies and sleep disturbances belong to the most frequent health problems, especially in women. Dr. J. Kamsteeg, biochemist and founder of KEAC Parkstad in Kerkrade, the Netherlands, discovered that there is an elevated excretion of one specific compound in the urine in many of these cases. Almost ten percent of all women and more than one percent of all men have a positive result on a HPU-urine test. This book offers the most up to date information about HPU. Attention is not only paid to mechanisms that underlie the symptoms, like fructose-intolerance and gluten-intolerance, but also possible treatment. A few diseases that are frequently found apart from a positive HPU-score, like diabetes, Hashimoto’s disease (an auto-immune thyroid gland disease) and PBC (an auto-immune liver disease) are covered in more detail. Citations of people with a positive HPU-score support the text.